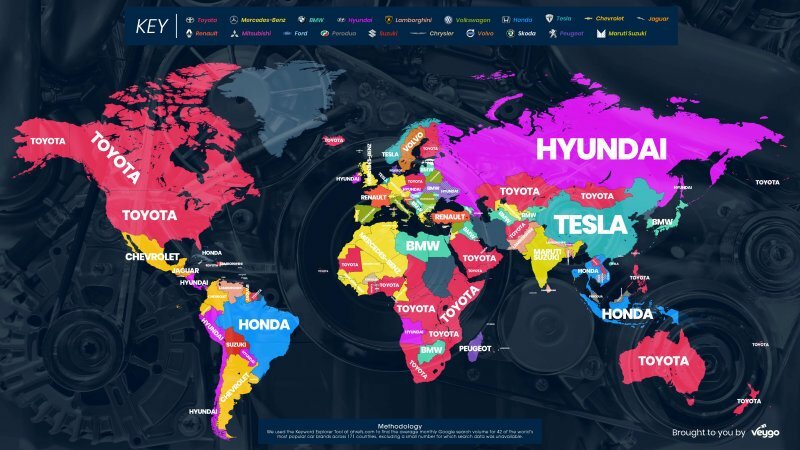 Ever wondered what the most Googled car brands around the world were? Well, we've got the answer for you now. This data, collected by Veygo (an insurance company), takes into account searches from 2018 and separates the data by country. Toyota took the top spot in the U.S. this year. Mind you, 2018 isn't quite over yet, but we've certainly accumulated the majority of the searches we'll have.